Hello! 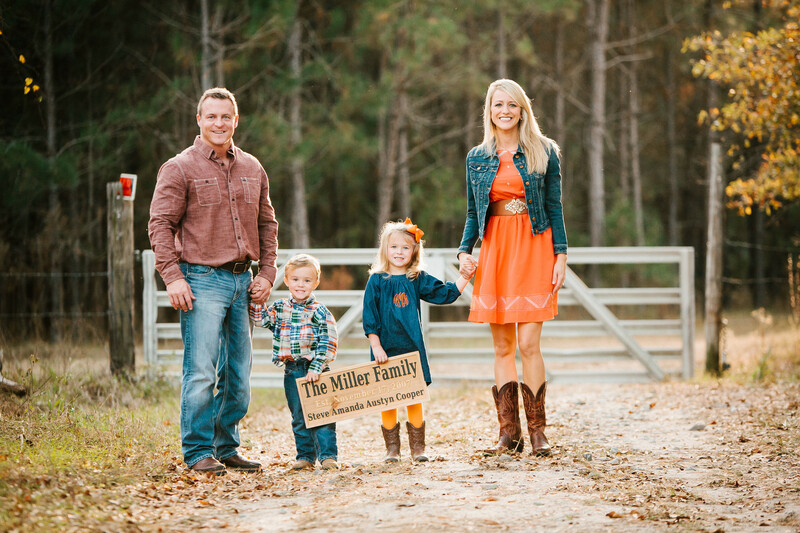 Before my husband, Steve, and I dreamed of opening Miller and Company I was a former middle school teacher in Laurens County. Shortly after I began teaching I wanted to further my education with a degree in school psychology. During my time in graduate school I met my prince charming and soon married him and moved to a small coastal town out of Savannah. I began working at a local middle school until I became a mom, in which my only desire at that point was to be a stay at home mom. For the past eight years I have joyfully been a busy mom of two beautiful children. Soon after our children were born, we purchased a farm in my hometown and began to find that we loved the southern lifestyle more and more over the years. Traveling back and forth from the coast to the country became tiresome. A little over two years ago we decided to make the giant leap of faith to sell our home on the coast and enjoy the country life full time. We found an older plantation style house that needed a major renovation and transformed it into a home with lots of southern charm. It feels good to sit back now and look at all the things we researched and found while trying to make our house a home. But in the midst of the planning, we found it very difficult and often frustrating trying to find design services in our area. This experience led me to the idea of opening a home collectives and design resource center in Middle Georgia. It has become my passion and my desire to help make your next design project a fun and enjoyable process.